These blocks are available in a range of sizes. Well suited to be used in landscape. 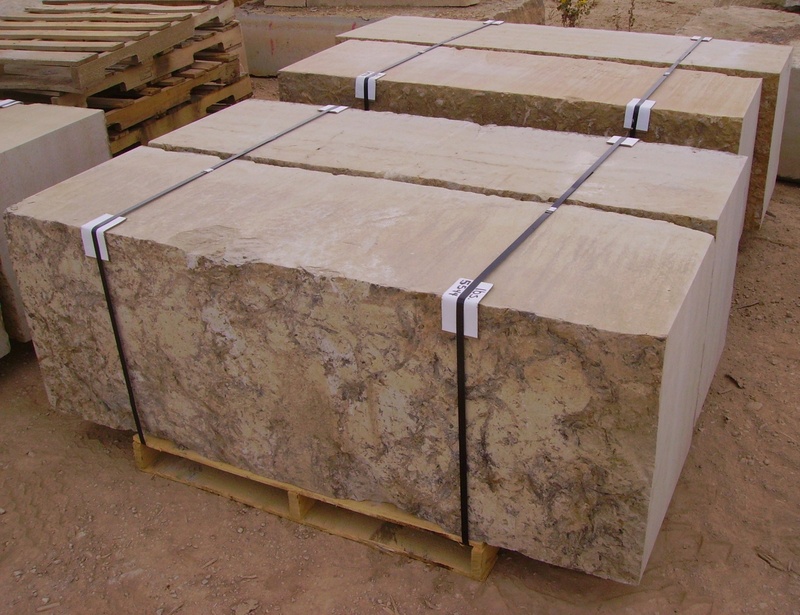 Continental Quarries offers CQ-1, which is a cut stone quality block in small and large sizes. 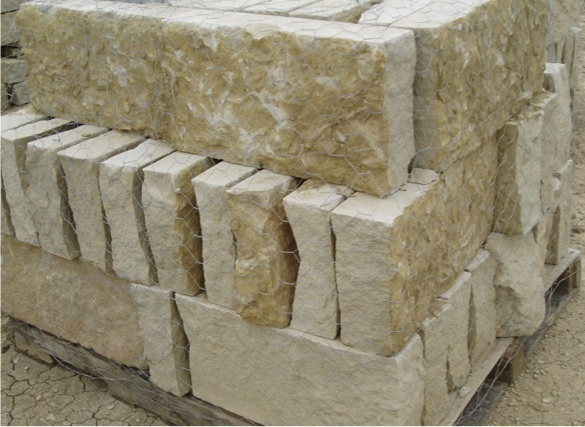 We also have CQ-2 block which is good for landscape or rough stone applications. Lueders Limestone Block can add strength and structure to any project, from wall cladding to landscape improvement. CQ-1 block (Average size- 4’ x 8’ roughly squared). CQ-2 block sizes vary from 2’ to 4’ wide and 5-8’ long. Sawn at various heights, using full 21” depth, this retaining wall is unique in its design and installation. Because of challenges with grade elevations on hillside sites, the retaining wall can tame nature and keep its highly coveted beauty in step with the rest of the project. A block sawn top and bottom and split to random lengths allows for variety of placement and installation. Personal attention is given to all orders by our experienced staff. The tools of the trade range from precision chisels to heavy machinery for a job that eliminates waste, increases precision, and expedites finished product. We are constantly looking for ways to save our customers time and money through purchases of the latest in limestone technology. Standard size is sawn 6” tall x 11”-14” wide with random lengths and chopped ends. 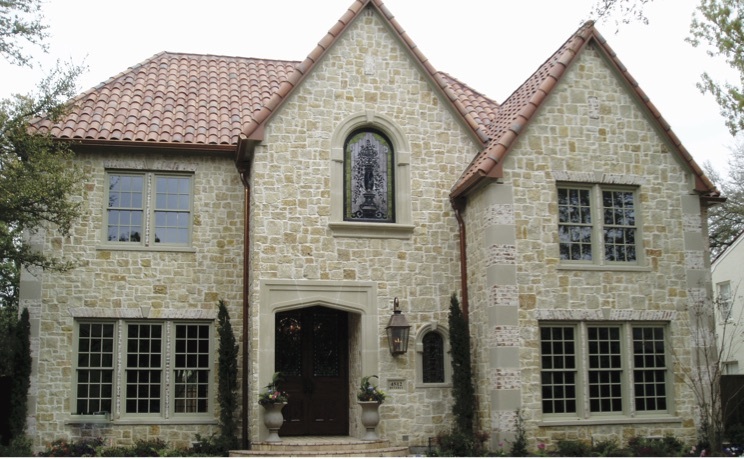 Limestone has a unique and enduring quality only available with natural stone. It is durable and unwavering to exposure. 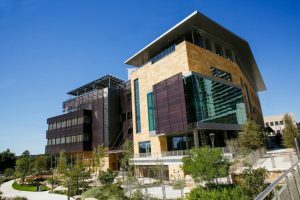 Often, the beauty of limestone is its softness of texture, which has a smooth and warm look that is appealing to the touch. 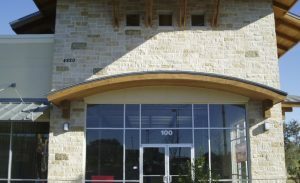 For these reasons, natural limestone is the primary choice for building with stone or rock material. Roughback Sawn Bed – Sawn top and bottom with natural face and split ends. We work closely with customers to recommend design features that achieve your desired artistic goal while maximizing the benefits of limestone as the choice material. We continually strive to keep open lines of communication with our customers and keep on time deliveries. We meet production schedules and remain steadfast in the enhancement and growth of our facility to keep up with your demand. Sawn to course heights ranging from 4” to 18”, this natural face material is palletized for ease of handling and protecting of the natural faces. 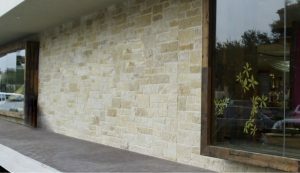 The unique texture of limestone lends itself to a variety of uses. Some of these include: pavers, landscape block, and retaining walls. Continental Quarries has close to a decade of experience as a supplier of quarried limestone. Since its founding in 1999, Continental Quarries has quarried limestone elements for retail, office development, and commercial projects. 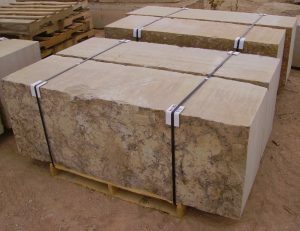 With the demand for Lueders Limestone in block, building stone, patio stone and landscaping materials to area businesses, Continental Quarries has been able to best meet this growing demand. This saw takes the center core out of thin ledge sawn strips leaving two sawn back natural face (Roughback) strips for veneer. 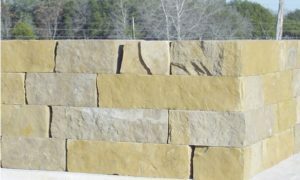 The popular rough ashlar pattern has a unique personality with a Lueders Random Chopped mix. Random heights with random lengths add variety and a one of a kind look. Using rough chopped only will provide a monochromatic buff color (see left project). Using both the rough chopped and roughback sides will create a range from buff to rust (see design below). Sizes range from 3” to 12” in height with random lengths. 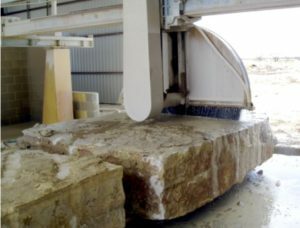 Should your design require both rough and cut stone, we have the experienced team to produce your designs. 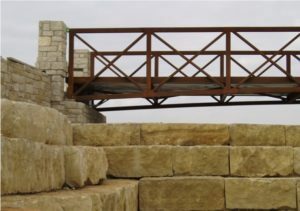 Whether you are looking to add unique aesthetics to your landscaping project, precision to wall cladding, add beauty and utility to your retaining wall, or style and endurance to any structure, we can custom cut the stone of your choice to achieve the desired look. 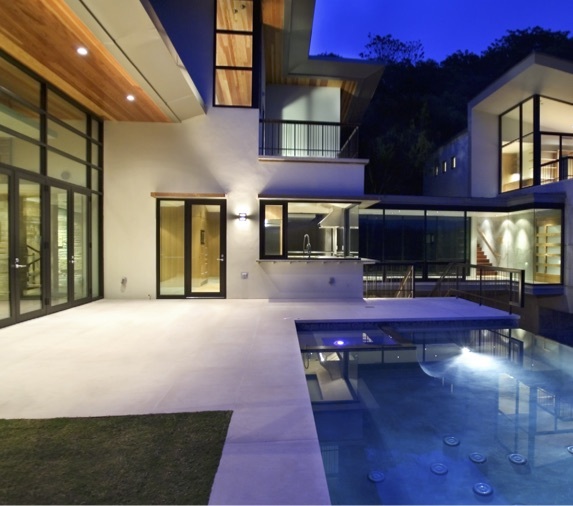 We specialize in high-end residential, retail, commercial, and restoration projects. We welcome the opportunity to assist with all your limestone needs. Sawn on 2 edges and top and bottom; this material available in 1 1/4” to 2 1/4” thickness.